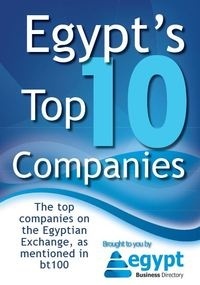 Egypt's Sarwa Capital exposed to IPO "irregularities"
Business Report: Egypt's Sarwa Capital exposed to IPO "irregularities"
Beltone managed the IPO of Sarwa Capital, which began trading on the Egyptian stock exchange last month. Egypt’s financial regulator suspended the IPO unit of Egypt’s Beltone Financial after finding that Sarwa Capital had been exposed to irregularities in IPO procedures, the regulator’s deputy head said on Sunday. Beltone managed the IPO of Sarwa Capital, which began trading on the Egyptian stock exchange last month. Its IPO unit was suspended on Thursday from carrying out any activity for six months. Shares in Beltone, which is controlled by billionaire businessman Naguib Sawiris through his company Orascom Investment Holding, fell 10 percent in early trading on Sunday.